On Tuesday Gov. 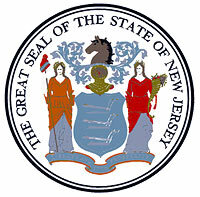 Christie signed into law S3156/A4335, which weakens the rules pertaining to DEP adopting new sewer service areas. New Jersey Future opposed the bill, but now that it has been signed we believe there are still ways to minimize its potential negative impacts on both growth patterns and environmental preservation. Our full statement appears below. Press coverage of S3156/A4335, the recently signed law to change New Jersey’s water quality rule, has been dominated by two opposing positions. The building community has insisted that the existing rule be scaled back and delayed to allow more opportunities for development projects on open lands in order to create jobs and jump-start the economy. Environmentalists, meanwhile, have focused on the bill’s adverse impact on the state’s drinking water supplies. … the question at hand is whether the Christie administration will focus earnestly on the wastewater rule’s implementation, or look the other way and favor applications for sprawl development. What has been missing from the debate is the very practical consideration of how the rule’s requirements will be implemented, regardless of the recent law. After 3½ years, will the DEP focus its resources so that up-to-date plans for sewer expansions are finally, actually, adopted? These plans will clearly delineate where the state and counties will prioritize growth and public investment in infrastructure, making the development process more predictable and efficient. Without them, the promise of strategic growth and clean water protections will be lost. New Jersey residents want a “smart growth” development pattern. According to a recent Monmouth University poll, nearly 70 percent support a coordinated, statewide plan to steer growth and development to existing population centers in order to preserve farming communities and open spaces—findings that are nearly identical to a poll conducted in 2002. Gov. Christie’s draft State Strategic Plan echoes this vision, and calls for state agencies to line up their rules behind it. Since development follows sewers, we can’t have a realistic land use plan for growth and preservation without a credible plan for where sewers are allowed. Now that S3156 has been signed into law, the question at hand is whether the Christie administration will focus earnestly on the wastewater rule’s implementation, or look the other way and favor applications for sprawl development. The bill weakened the rule substantially, but its core provision—to update sewer service area designations to focus growth near developed areas and away from environmentally sensitive ones—is still alive, albeit on life support. 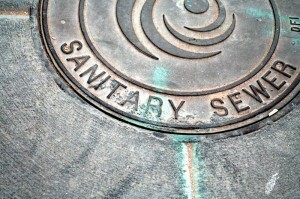 Signal a clear intent to update sewer service area plans without delay. The DEP should focus more staff resources on this work, publish clear guidelines for counties and withdraw wastewater area designations in counties that fail to submit plans in a timely fashion. Give the DEP staff a chance to adopt submitted plans formally before it is overburdened by requests for site-specific amendments, many of which will be in inappropriate locations. Tell counties to submit “clean” plans for sewer service areas that are not compromised by the inclusion of site-specific amendments. Limit the designation of State Strategic Plan “Priority Investment Areas” for growth and preservation to locations with up-to-date wastewater plans. Develop and share information on where wastewater capacity must be increased to support smart-growth plans and projects. Encourage counties to implement the rule’s now-voluntary provisions for limiting sewer expansions based on wastewater capacity. Although New Jersey Future opposed passage of S3156, we believe New Jersey can aggressively promote development and redevelopment in the right places, while minimizing harm to the environment, if sewer service area plans are swiftly updated. The governor can accomplish this by extending the “New Jersey Comeback” attitude espoused in the State of the State address to the wastewater rule’s implementation.